Tickets priced at just 10 euros as part of the “La Scala UNDER30” program in Milan sold out in 15 minutes last month. Above: the inside of La Scala opera house. Photo courtesy of La Scala. MILAN — The logo for “La Scala UNDER30,” the famed Milan theater’s initiative to attract young people, features silhouettes of two women in Victorian attire, complete with plumed hats, canes and bustle pads. The women wouldn’t be out of place in the grand opera house, a traditional circular theater decorated in rich reds, creams, and golds, except for one thing — they are throwing the “rock on” sign, a fist with the thumb and forefinger extended that entered mainstream popular culture thanks to the heavy metal band Black Sabbath. The tongue-in-cheek logo represents a wildly successful program founded in 2005 to “introduce a wider public to musical culture” by making programming accessible to viewers under 30 years old, according to Intesa Sanpaolo, an Italian banking group that is one of the program’s financial sponsors. Every season, La Scala schedules several previews open only to people under 30. In November, tickets for the Dec. 4 preview of Beethoven’s opera Fidelio sold out in 15 minutes, according to the music blog MusicaProgetto. This month, the Italian press declared the preview a “great success” after the young viewers gave director Deborah Warner and her performers a 10-minute standing ovation. “This was a marvelous beginning” for the show, Warner told Milano Today newspaper. Fidelio officially opened Dec. 7, and featured a contemporary staging in which Warner used the classic opera about a political prisoner to reflect contemporary geopolitics. Fidelio and the other UNDER30 previews are part of a larger program to attract young people to La Scala. About 1,600 people have joined the “Community UNDER30” and purchased a 10-euro “La Scala UNDER30 Pass,” which gives them priority booking for the previews, a discount at the theater book store, and access to additional events. The Community also offers a reduced-price season ticket subscription, called “Abbonamento UNDER30,” which includes tickets to three operas or ballets for the price of one. La Scala UNDER30 stands in stark contrast to many American theater companies, which have strong elementary and early education programs but do little to make their programming available to university students and young professionals. The different approaches may reflect a more general difference between the two countries’ relationships with opera and the arts. 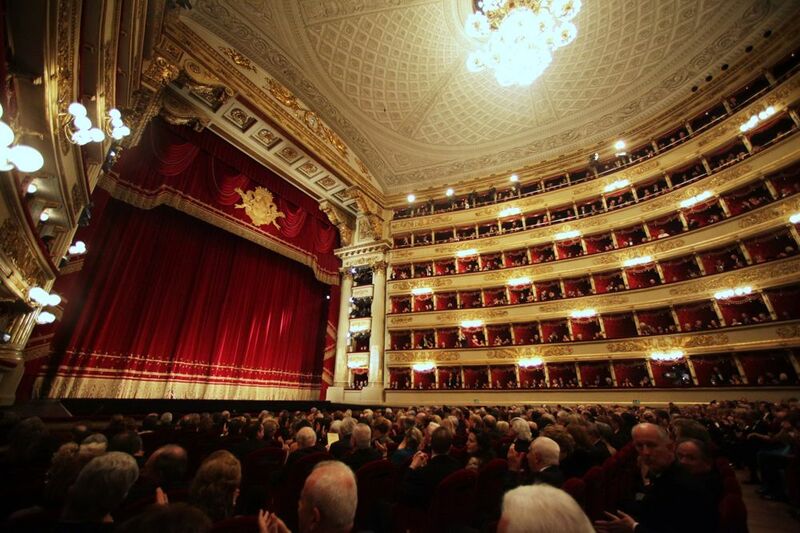 Opening night at La Scala in particular is a social, political and symbolic event attended by heads of state and government — and with no equivalent anywhere else in Europe or America, according to the Times. The theater was founded in 1778 to replace Milan’s previous opera home, the Royal Ducal Theatre, which was destroyed by a fire two years earlier. Claudio Abbado, La Scala’s opera director from 1968 and 1986, is credited with introducing policies of “popular” pricing that made La Scala accessible to more than just the elite. 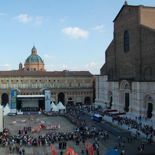 It was a gesture the Italians apparently appreciated; more than 8,000 people packed the square in front of La Scala to memorialize Abbado when he died in January of 2014. The theater’s former general manager and artistic director, Stéphane Lissner, reportedly dreamed up and implemented the Under 30 previews when he took over in 2005. This entry was posted on December 23, 2014 by Janna Brancolini in Issue 2, Travel and tagged Ballet, Italy, La Scala, Milan, Millennials, Opera, The arts, Travel.